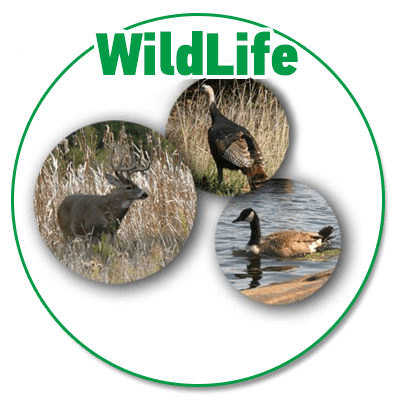 the word about CHRONIC WASTING DISEASE (CWD). disease affects the nervous system of members of the cervid species family including red, mule and whitetail deer, elk, moose and caribou. Ontario is at a higher risk due to the presence of game farms. For more information on Chronic Waste Disease go to our Ontario Federal Angular’s & Hunters page. The OFAH and MNRF remind us to call the MNR tips line if we see a sports angler or commercial anglers breaking the rules. The tips line 1-877-847-7667 (1-877-TIPS-MNR) or call Crime Stoppers anonymously at 1-800-222-TIPS (8477). Be sure to include information on the exact location of the violation, date and time of the violation, and a description of the individuals and vehicles involved. Timely and accurate information will help conservation officers in apprehending violators and protect your natural resources. Don’t condemn role of hunters. • Nuisance coyotes and bears are increasing almost every were in the Province. The Rankin Resource Group (RRG) is an organization that was formed in 1999 to encourage resource stewardship of the Rankin River watershed on the Bruce Peninsula. The RRG consists of a diverse collection of organizations and interest groups who share a common concern for maintaining the natural integrity of this extensive and valued wetland complex. These volunteer representatives support environmental projects and work with government organizations and interested private land owners to make the best land use decisions possible that will protect, preserve and enhance this valuable ecosystem. Our Mission is the preservation, protection and enhancement of the natural integrity of this extensive and valuable complex of lakes, rivers, wetlands and uplands while providing the public with reasonable access for appropriate outdoor activities. The Rankin River watershed is an 8,500 ha (21,000 acre) mosaic of upland forest, meadow, pasture, lowland forest, swamp, marsh and farmland surrounding the Rankin River and Sky, Isaac, Berford, Mud and Boat Lakes in the Town of South Bruce Peninsula. The river and lake complex is host to warm water plants and fish populations such as perch, bass and pike. The swamps and marshland offer favourable habitat for song birds, waterfowl, herons, snakes, turtles, muskrats and beaver. The upland and coniferous forests support white-tailed deer, black bear, small game and waterfowl. The area flourishes with an array of wild flowers and shrubs, some of which are designated rare in Ontario or North America.